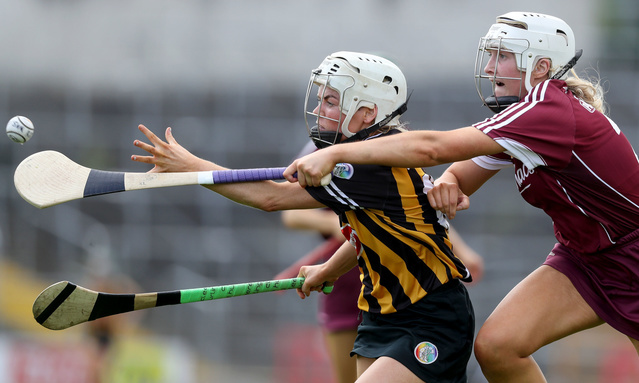 KILKENNY captain Shelly Farrell was barely able to speak such was the level of exhaustion she felt after her side ground out a 1-10 TO 1-7 victory over Galway in a titanic Liberty Insurance All-Ireland Senior Camogie Semi-Final at Semple Stadium. Drenched in sweat after 67 minutes of fare that amounted to a war of attrition, Farrell was just relieved that she would get to lead her teammates out at Croke Park on September 9th. “It was a serious battle” related the Thomastown attacker. “Unreal. We knew from the start that it would be. “Ourselves and Galway have had some battles over the last few year. It was unbelievable out there, you didn’t get a minute. We put everything into it, both teams really gave everything and you saw that. Space was at a premium as both teams set up to give the other’s dangerous forward division as little oxygen as possible. That made for plenty of bitty passages of play and some tremendous physicality, even if the touch and execution was not at the level one might expect from two such talented outfits. Denise Gaule hit three pointed frees as Kilkenny led by 0-6 to 0-4 at half time but Galway thundered into the fray in the second half, with Niamh Kilkenny and Ailish O’Reilly particularly prominent and Carrie Dolan slotting three frees conceded by an increasingly under pressure Kilkenny defensive unit in which Edwina Keane excelled. Those scores moved Galway in front, though Julianne Malone quickly equalised. The game turned on Katie Power’s 48th minute goal, which was the result of a slick passing movement that illustrated the potential of the Noreside offensive unit. They added three points as Galway were forced to press forward, Gaule finding the target with two frees and Farrell’s younger sister Meighan landing a pearl of a score. The eldest Farrell sibling Anna was named player of the match. Though Rebecca Hennelly drilled a 65th minute penalty to the net, time ran out on Cathal Murray’s team, who had given everything but just fallen agonisingly short once more. “I don’t know was it nerves or what at the start, we just weren’t in it in the first 10 or 15 minutes but we showed the heart to come back” was Farrell’s summation of the characteristics her manager Ann Downey would always demand.